Gemini is a mutable Air sign, ruled by Mercury, with an emphasis on variety and versatility. 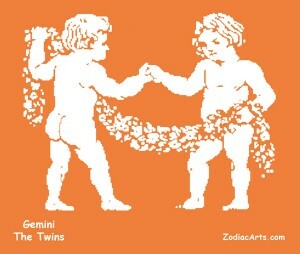 Issues involving primary education, language, journalism and transportation become accentuated during the Gemini cycle. It is associated with information, communication, duality, and mentality. The house holding Gemini in the natal chart shows an area of life where one can be inconsistent, argumentative, and cunning, as well as adaptable, perceptive, and socially adept. The sign of Gemini is associated with The Magician and The Lovers in the Tarot. 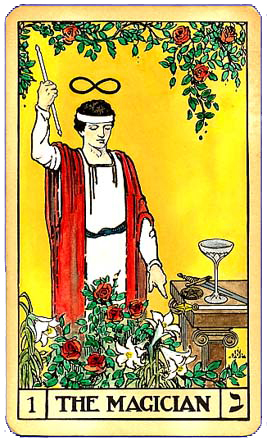 Attune to the qualities of Brilliance with a 3-minute tarot meditation on The Magician. The Magicians is the figure of a scientist, an initiated master, a skilled illusionist, representing the life force as directed by the mind. Symbolic of Mercury and the Divine Mind world, he teaches us to manifest reality. Attune to the qualities of the Union of Opposites with a 3-minute tarot meditation on The Lovers. 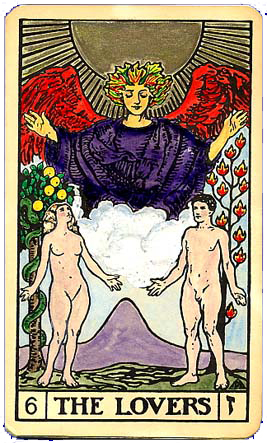 The Lovers depict the alchemical marriage of heaven and earth. The Lovers represent the union of opposite but complementary modes of existence. The lesson is to make responsible choices and to communicate Love. Gemini sits in the South-East on the Medicine Wheel. Gemini correlates to Illumination, the third step on the Eastern pathway of Sun Bear’s Medicine Wheel. The renewal process of the Aries cycle led to clarity and a fresh vision of yourself, which in turn led to a better understanding and wiser use of your personal resources during the Taurus cycle. The Gemini cycle offers enlightenment via information, education, and connection with others.